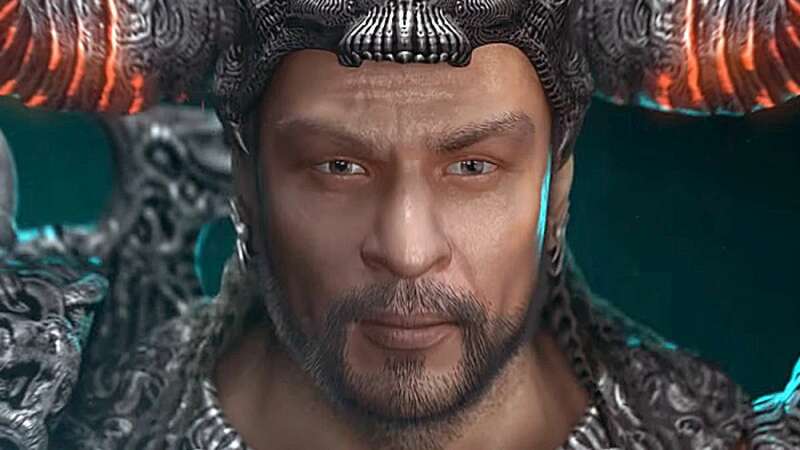 Shah Rukh Khan looks commanding in "Atharva - The Origin"
New Delhi : First teaser of Shah Rukh Khan’s upcoming movie "Atharva - The Origin" is out now. The teaser takes you through the body ornaments of Mr Khan and then presents the whole look of the actor. The film is an animation movie and will hit theatres in 2015. The movie will present a journey of man before the origin of earth. The project headed by Vel Mohan has the beautiful illustrations by Ramesh Acharya.